Asparagus Casserole is a delightful side dish perfect for your spring picnics and potlucks! This is an easy recipe that you can make for the whole family with easy-to-find ingredients but packed with flavor. You can make this as a side dish for savory meals like the Easter Lamb and Italian Chicken and Potatoes, or Slow Cooker Garlic Sesame Chicken. Asparagus Casserole is a delicious and flavorful dish, made from one of the healthiest vegetables on earth. 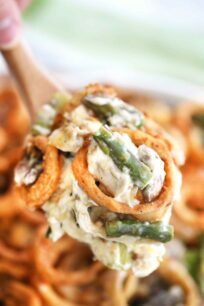 It is creamy, baked to perfection, and topped with french-fried onions. The french-fried onions give this dish more texture and an additional flavor boost. What makes this side dish a hit is that you can pair this with just about anything. You can even eat it as a stand-alone dish. However, we enjoy pairing it with chicken, beef or pork, as a complete meal. Also, asparagus is pretty nutritious and has plenty of vitamins that are excellent for your body. Asparagus is one healthiest and nutritious vegetable that is just as rejuvenating as the spring season. It is packed with antioxidants and glutathione. Cooking the asparagus releases the antioxidants making it more effective in detoxifying your body thereby making you look younger. Also, it has lots of nutrients and vitamins including folic acid. So, if you are trying to conceive soon, eat a lot of asparagus, starting with this really easy recipe! Skip the french fried onions to make it healthier. What are the benefits of eating asparagus? One great thing about eating asparagus is that it can make you lose weight. It is tasty so you will not feel like you’re depriving yourself by eating bland diet food. The fiber in asparagus can help you feel full which suppresses hunger. At the same time, it helps with digestion. As a natural diuretic, it will also help you expel toxins. Hence, it can be your go-to diet food! The antioxidants in this super vegetable can help you fend off cancer and aging. It can even soothe a hangover. So, prepare one today if you have a night out and just bake it the next morning. Asparagus is a spring vegetable like kale, spinach, peas, broccoli, cauliflower, cabbage, and lettuce. You can cultivate this for yourself easily and they are perennial, meaning, they can last for a long time, and only die out when it is too cold. Having your own asparagus in the backyard can guarantee you fresh and crispy spears compared to those commercially available. Can you make asparagus casserole with canned asparagus? If asparagus is not in season, you may use canned ones. However, whenever possible, we try to go with fresh veggies. It just tastes better and the flavors are amazing. Also, the juice of canned version may sometimes have an off taste, so you’d better leave that out if you wish. Can you make asparagus casserole recipe in advance? Absolutely! Simply, assemble the asparagus casserole up to two days in advance, and properly store in the refrigerator. The next day just continues with the cooking part and you are set to go. Can you freeze asparagus casserole? This is the beauty of doing casseroles, you can freeze them and reheat when needed. You can prepare the asparagus casserole ahead of time, bake halfway, and then, freeze. Just let it cool completely before putting it in the freezer. Thaw frozen casserole overnight if you put it in a glass dish, but if you put it in an aluminum pan, then, you may bake it straight up from the freezer. How do you make asparagus casserole? Before starting, preheat the oven to 350 degrees Fahrenheit and grease a 9×13 inch casserole pan. Start with sautéing onions in butter. Stir in the minced garlic, asparagus, and mushrooms. Add in the seasonings: salt, pepper, paprika, thyme, and lemon zest. Whisk cream and flour to combine. Add this in the skillet and stir until thick. Lower the heat and add in mayonnaise and cream cheese. When already fully combined, remove from heat and add in the cheeses until they melt. Next, make the french-fried onions. Crush some onions and add into the asparagus mixture. 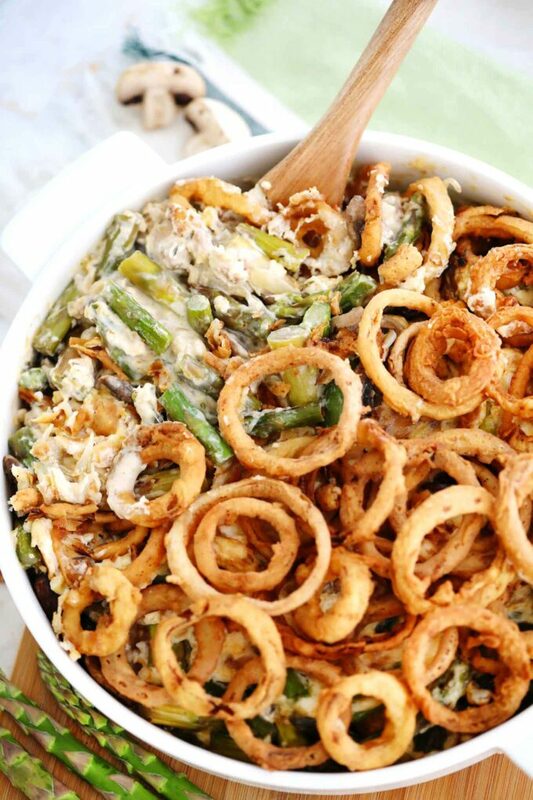 Transfer everything to the casserole pan, top with the french-fried onions, and bake in the oven for half an hour. Top with more french-fried onions and serve. How do you make asparagus casserole gluten-free? To make this dish gluten-free, you can substitute the flour with a gluten-free substitute like rice flour, coconut flour, or tapioca flour. 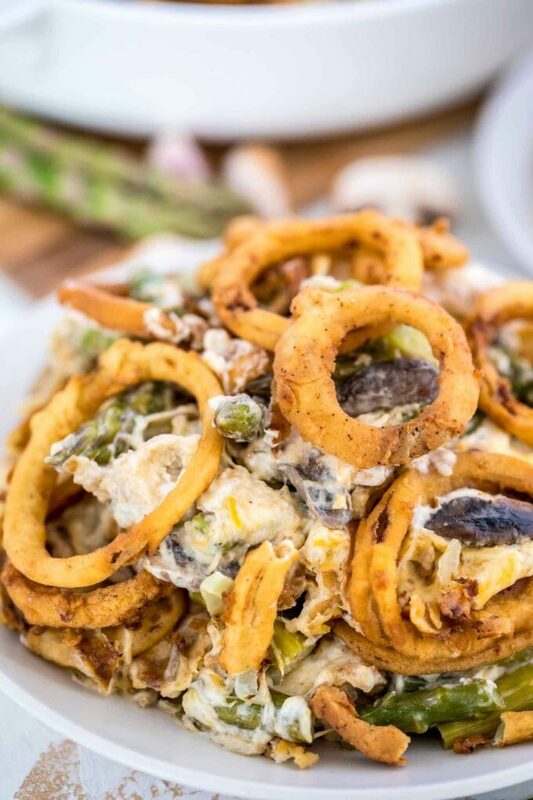 French-fried onions are onion rings made to be crispy. In this casserole, it is responsible for adding crunch to the dish, as well as adding flavor. To make some, just cut some onions crosswise, and separate the layers into rings. 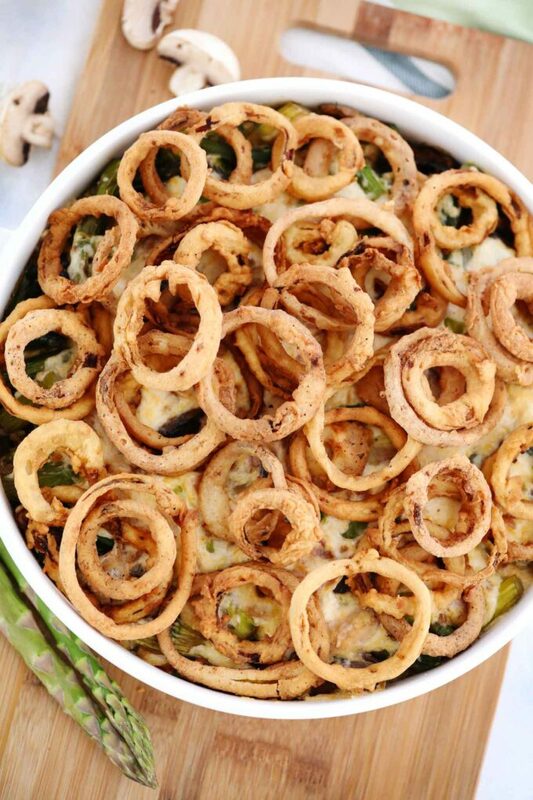 In a bowl, put milk and soak the onion rings in it for twenty minutes. In a plate, prepare a mixture of flour, salt, ground black pepper, and garlic powder. Cover the onion rings with the dry mixture, and deep fry until golden brown and crispy. 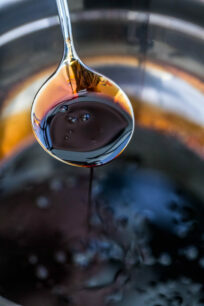 Drain the excess oil. You can replicate this recipe using broccoli instead of asparagus for variation. For some protein booster, add in some tuna, salmon, chicken or turkey. Also, if you are planning on hosting a larger gathering, or want some leftover for days to come, then double the ingredients and cook in two batches. This way, you will have some leftovers that can easily be reheated in the days to come. Slice the onions into thin rings and separate them into individual rings, add them to a large bowl. Add milk to the onion rings and let soak for 20 minutes. In a medium bowl combine flour, salt, garlic powder, and ground black pepper. Whisk to combine. When ready to cook, add oil to a large, deep skillet over high heat (or deep fryer). Once the oil is hot, working in batches, add a handful of onion rings to the flour mixture, cover well and shake any excess. Transfer to the hot oil and fry until golden brown, turning often. Remove the French fried onions and place on a baking sheet that has been covered with paper towels to drain excess oil. Repeat with the remaining onion rings. Grease a 9x13 inch casserole dish and preheat oven to 350 degrees. Place a large non-stick pan over medium heat and add butter and melt, add onion slices and cook for 1-2 minutes, until just tender. Add minced garlic, asparagus, mushrooms, and cook, stirring occasionally, for about 6-8 minutes. Season with salt, pepper, paprika, thyme, and lemon zest. Stir to combine. In a measuring cup combine cream and flour, whisk to combine. Add the flour mixture to the skillet and cook, stirring for 3-4 minutes, or until thickened. 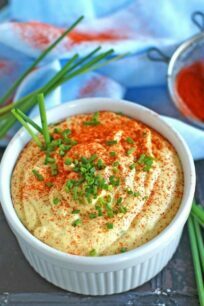 Reduce heat to low and mix in mayonnaise and cream cheese, stir until fully combined. 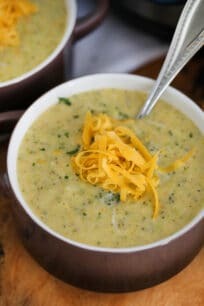 Remove from heat and stir in both kinds of cheese until melted. Crush about 1 1/2 cups of french-fried onions and mix them into the asparagus mixture. Transfer mixture to prepared casserole dish. Sprinkle remaining french-fried onions on top. Place in oven and bake for 30-40 minutes or until mixture is bubbly. Top with more french-fried onions and serve.